Get to know Venezuelan cuisine or enjoy a few of your favorite traditional dishes at the first annual GastroRutaVenezolana (#GRUVE), organized by local Venezuelan association ASOCAVEN. Each participating restaurant is serving up a pasapelo (that’s Venezuelan for “tapa”) plus a small beer for €2.50. 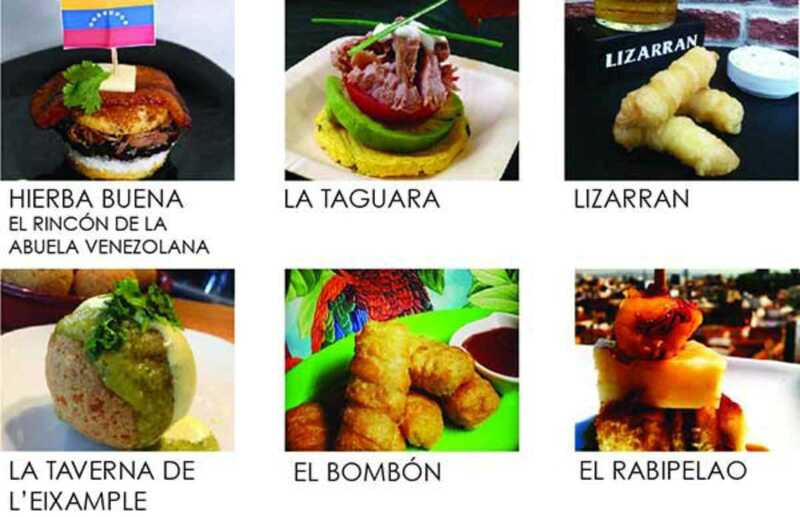 Tequeños, cachapas, pabellón and a bomba venezolana are just a few of the authentic delights that await at ten participating locations: El Rincón de la Abuela Venezolana, Lizarrán Poblenou, La Taguara, La Taverna de l’Eixample, El Rabipelao Gràcia, El Bombón, Papas and the Mamas, La Guarapita de Maria T, Mocca Pa and El Salaito. Vote for your favorite tapa and potentially win a free dinner for two. The winner will be announced at the upcoming annual Día de Venezuela, held on July 5th from 1pm to 8pm at the Universitat de Barcelona.